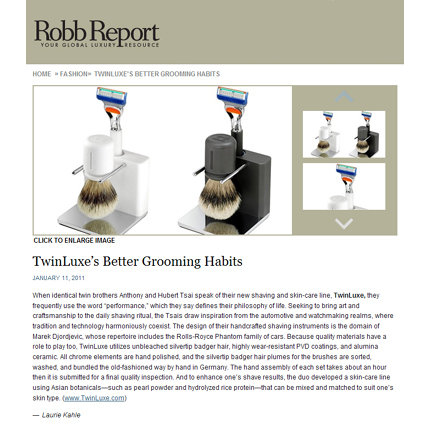 TwinLuxe stands for a revolutionary change in men's skin care and wet shaving - transforming and combining these daily chores into a single luxurious daily ritual. 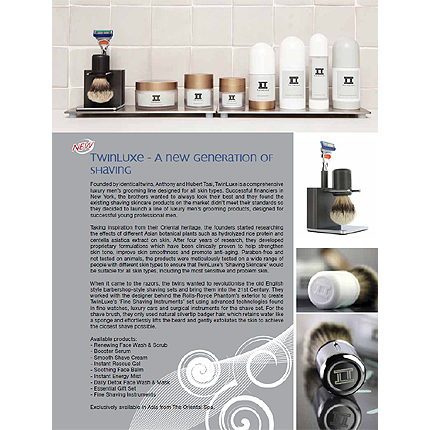 TwinLuxe 'Fine Shaving Instruments' shave sets are manufactured with the utmost respect and attention to design, craftsmanship and materials, using only the most innovative technologies for a perfected performance. 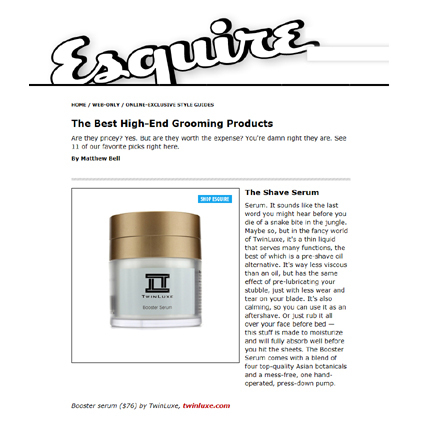 Shaving and skin care maintenance has never been this accurate or elegant. TwinLuxe's 'Shaving Skincare' is a range of formulations that can be combined for a customized result. 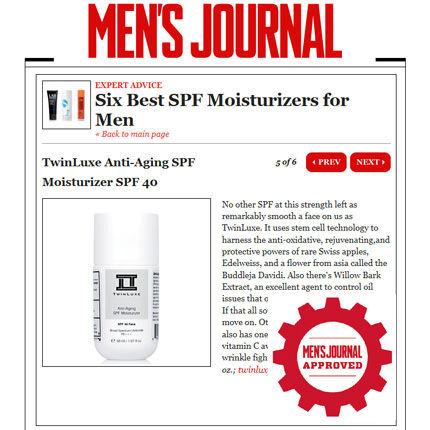 Mild, non-irritating, hypo-allergenic, paraben free & clinically tested by a Plastic Surgeon, these high-performance products are based on a powerful custom blend of Asian botanicals such as Pearl Powder and Hydrolyzed Rice Protein, to offer care tailored to individual needs -- luxury men's award-winning skin care and SPF sun protection for today's modern man. 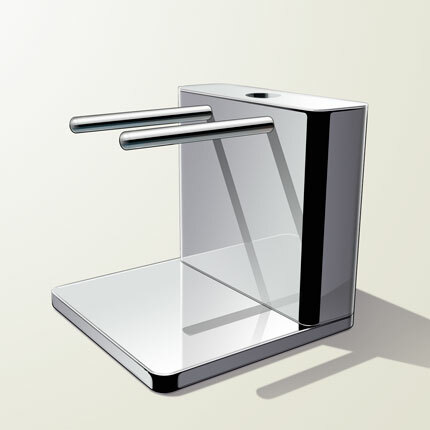 Also available in Professional Sizes for spa back bar products. 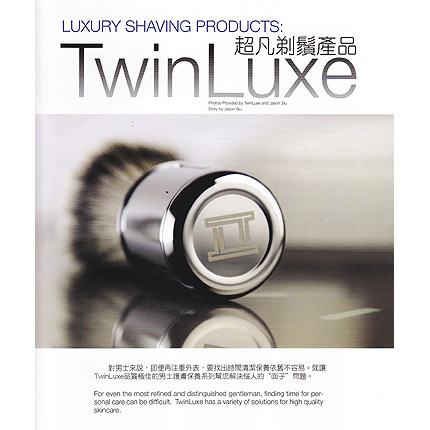 TwinLuxe founders, identical twin brothers Anthony and Hubert Tsai, had a vision of merging progressive innovation with precision craftsmanship to change the entire men's skin care and shaving experience. Our Asian heritage made us appreciate tradition, while our fast-paced Wall Street career taught us to always find new ways to achieve the ultimate performance. 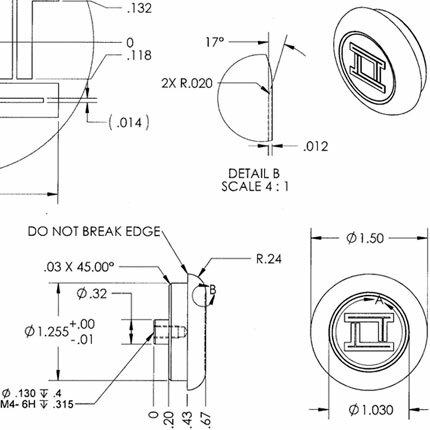 We have a deep passion for design, materials, and quality in all aspects of life. Why compromise while shaving? 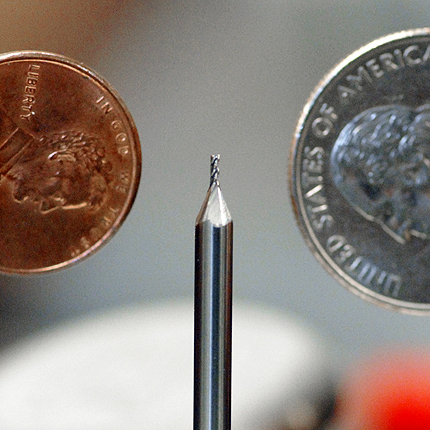 We don’t eat with plastic cutlery – why shave that way? 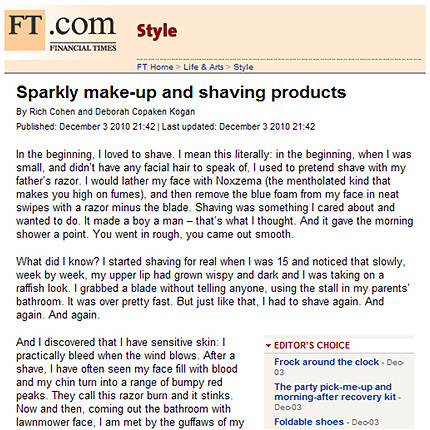 Why should one use generic tools and mass-market skincare formulas when the entire shaving experience can be turned into a personal daily ritual? Despite being twins, we noticed how individual our skin care needs are. 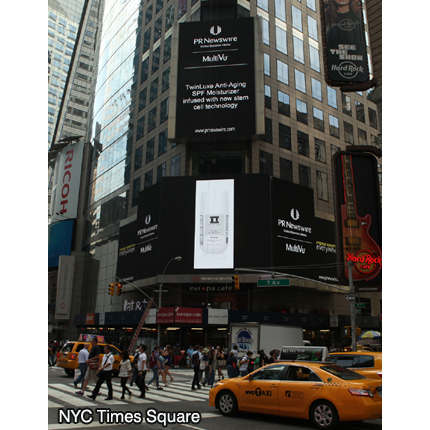 We also noticed there was not a luxury skin care line available that could be tailored to our skin types. Thus we created a core skin care range that can be “boosted” with add-on products. 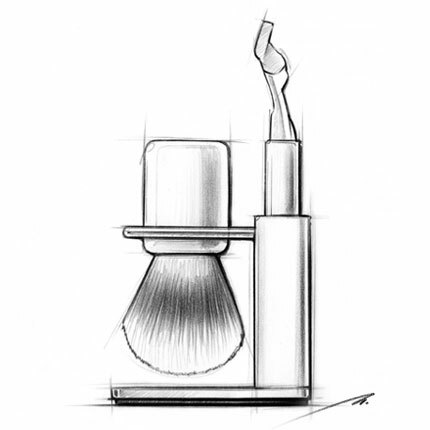 “We want to bring the barbershop experience into the 21st century, all in your own home – an easy morning ritual that leaves you feeling pampered, fresh, and well groomed all day,” envisioned Anthony. "Performance leads to authentic satisfaction. Performance speaks for itself. 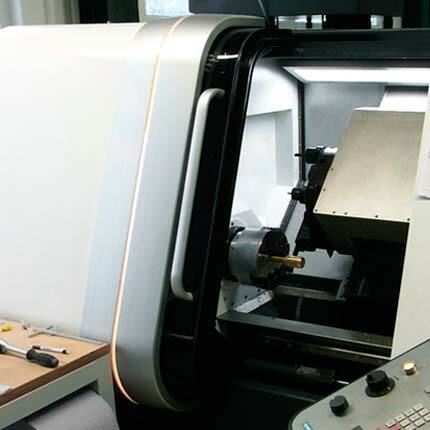 That is the core philosophy of our life, and with that of TwinLuxe," adds Hubert. 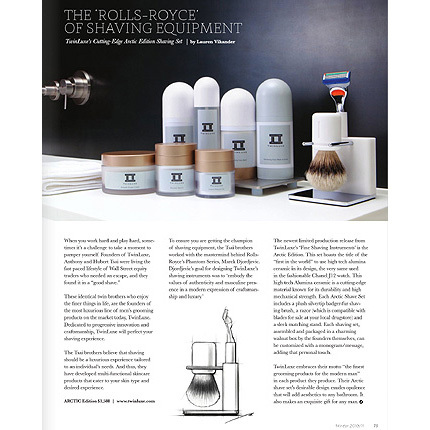 TwinLuxe 'Fine Shaving Instruments' shave sets and 'Shaving Skincare' bottle packaging are designed by world renowned designer Marek Djordjevic, whose works include exterior designs of the Rolls-Royce Phantom family of cars. "My goal was to reflect the vision of TwinLuxe founders and embody the values of authenticity and masculine presence in a modern expression of craftsmanship and luxury," says Djordjevic. Inspired by the timeless symbols of strength and status, these highly refined shaving kits deliver the pinnacle luxury shaving experience. 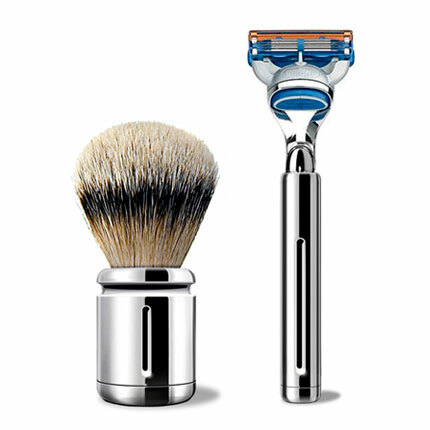 The solid design of TwinLuxe shave sets exudes confidence through their weight and feel. 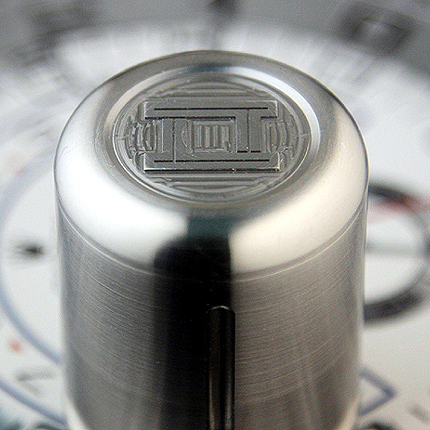 By incorporating the materials and finishes from advanced technologies found in fine wrist watches, exotic automobiles, and surgical instruments, TwinLuxe brings the traditional shaving tools into the 21st century. A combination of precision machining and carefully hand-worked craftsmanship brings each TwinLuxe 'Fine Shaving Instruments' shave set to life. 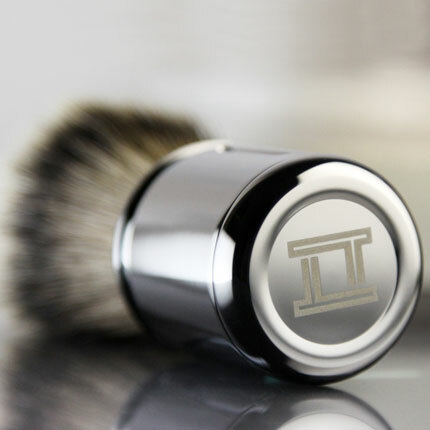 The TwinLuxe monogram in relief presented on the Anthracite silvertip badger hair shaving brush is machined using a 0.0156” carbide-end mill – a cutting tool as thin as your fingernail – and takes over 20 minutes to machine. 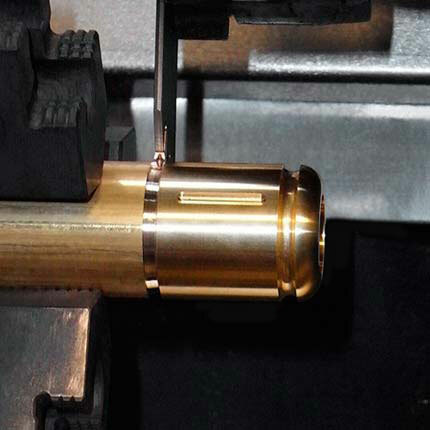 Tight tolerances of 0.002” are used during the manufacturing of the shave set components. 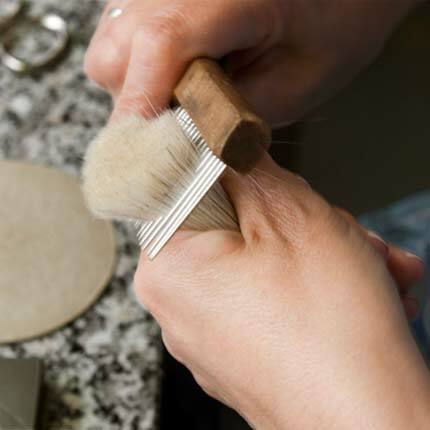 Each shave set is hand-assembled by the TwinLuxe founders and assembly can take up to 60 minutes per set. 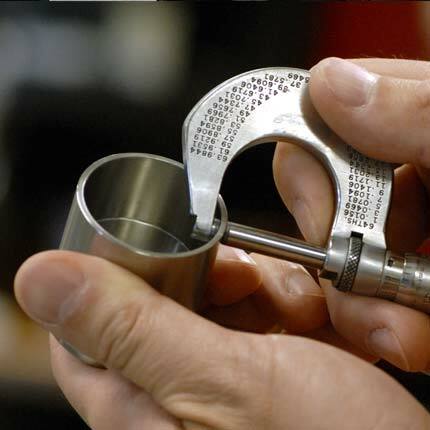 All shave sets are also inspected by them to ensure the highest standards of quality. 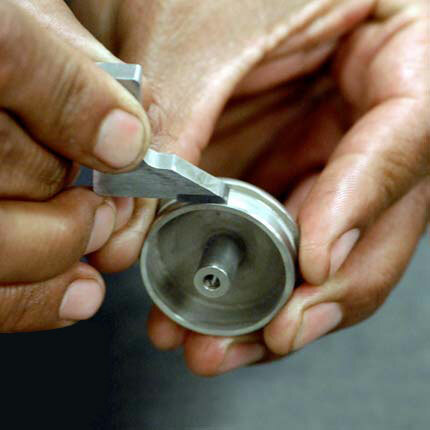 All chromed parts of the shave sets are hand polished. 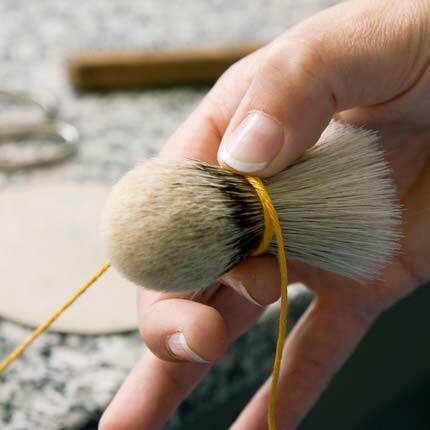 And the shaving brush silvertip badger hair plumes are sorted, washed, and bundled by hand in Germany using traditional and time-honored practices.